I write this post in support of Kevin Behan’s August 2014 Train-the-Trainer program and I hope it motivates you to contact him to sign up. Let me tell you a story. I began the practice of aikido in 2006 and it took me until this past September to finally reach shodan (black belt) – compared to other arts, in most dojos it takes a lot of time to reach this level in aikido. This is for good reason as in some way maybe it protects against some who want to claim to be qualified in something they are not. It is easy for many martial artists to covet that black belt but many want to wear it for the wrong reasons. May it be to show off, to have lofty perceptions of oneself, to make it known that “I know it all,” or any other reason that goes against what it truly represents to be a black belt. But I suppose if you reach black belt within a legitimate system, you are still a black belt at the end of the day – kind of like the joke that goes, “what do you call someone who graduates at the bottom of their medical school class? ….’doctor. '” Nonetheless, a large ego makes for a lousy martial artist. Moreover, what we often forget is the teacher(s) who gets us there. And we forget that the learning has really only just begun. I’m not here to boast, although I must admit it felt great to accomplish that goal, but I bring it up to make a point related to dog training. When I spent two full weeks in the summer of 2012 with Kevin Behan on his farm in Vermont, I had maybe two years worth of scanning through his two books and watching the videos and monitoring his blog. At that point still, I knew “nothing” of NDT – if you know what I mean. Little did I know what would wonderfully transpire over those next two weeks. But even when that brief apprentice-like experience concluded, I still knew “nothing” – even now after it all has evolved for me, I am really still “in-training.” This is not to belittle myself or my experience – it’s more about a feeling I like to call humility. As I often reflect on that trip, I’ll never forget Kevin would talk about having those “kendo moments” along the way. He was referring to the context of understanding and executing a dog training model properly. It made me realize that we will spend months, years, decades practicing a discipline and we find that it is the process (not the end) that gets you to a point where you can REALLY begin to start learning and executing, but it doesn’t happen without a teacher. 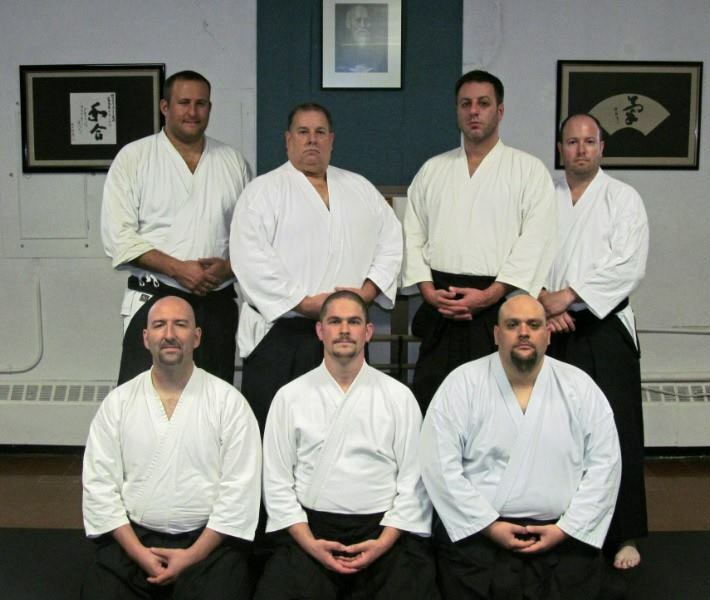 When I successfully completed shodan, drained of every ounce of energy I had after two hours of non-stop movement and demonstration of proficiency in everything I had learned in the past seven years of Aikido training, the panel consisting of my Sensei and five of our other black belts sat before me. Drenched in sweat, vision blurred a bit, breathing hard, I sat in seiza and they asked me what I had to say about my test. The first words out of my mouth, “I can start learning aikido now.” That was my kendo moment – well, really it was an aikido moment. I then looked Sensei in the eyes and expressed my deepest gratitude for all that he has taught me through his mentoring and teaching. I wanted to honor him, to show him that he taught me what I know. And even in that moment, I realized it wasn’t the end, that I had reached only the first summit of my path, that there was more to go, more to learn, more to seek, more to understand, many more mountaintops to reach. You see, I didn’t learn aikido by reading a couple books and checking out class once or twice at a dojo. I committed to myself and to my teacher, to learn from him as well as my classmates. This took place multiple times a week over the course of seven years and I will continue to commit to it until my dying days. Can you see and feel the picture being painted here? Allow me to be transparent: to parallel all of this, dog training is a very easy field to become passionate about. For the love of dogs, we uphold training our own dogs as a valuable process – and for many people, training others’ dogs is the extra venture. The former and the latter are processes you can’t learn or do overnight, let alone qualitatively and quantitatively self-proclaim it without prior mentorship. Many may not like to hear that but I’m sorry, it’s the truth. Take trainers like Cesar Millan, Karen Pryor, and Kevin Behan: you can see that there is a system to learn from that goes beyond watching videos or reading books. The way to experience that is in vivo, under a structured, validated process from an instructor who knows what they are doing. We must have a teacher – a genuine one. And many of us aspire to become a teacher – I hope some day to open up my own dojo, but NOT WITHOUT guidance from my Sensei. You cannot claim be a real teacher without having one of your own at one point in time (and for that matter, an extended period of time). In my full-time work as a licensed mental health counselor, it took four years of undergraduate work in psychology, two full years of graduate work in clinical counseling, 2000+ post-graduate contact hours in two years, and then some more to get me to where I am now. Still, I continue to learn and it wouldn’t be so without the guidance and clarity of my teachers – credit must be given where it is due. I’m not one to brag about degrees – for crying out loud they are hanging on my office wall and I often think to myself, “those pieces of paper and a couple of dollars might get me a cup of coffee at Starbucks.” In fact, I often feel a little cringe when clients ask me where I went to school and what the degrees are and blah, blah, blah. Nothing against them, I suppose those are legitimate questions, but being a licensed counselor ISN’T ABOUT ME. What matters most to me is my experience, which was provided and supervised by my instructors and directors – THAT makes me qualified to do what I do, at least from a checks-and-balances perspective. Now, anyone can go open up shop on the downtown square and call themselves, “therapist,” but that doesn’t make you qualified. 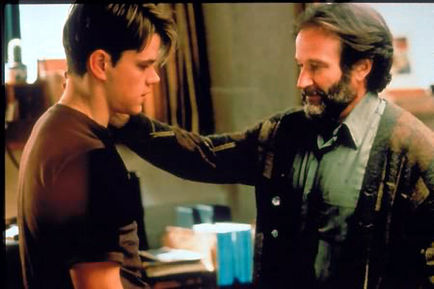 Good Will Hunting was brilliant and was amazing at what he could do just by being book-smart, but he had no personal reference nor someone in his life to truly show him the way, so he hid behind what he thought he knew about ‘this and that’ only to really miss out on what really mattered to him. But then he found his teacher, his therapist (a psychologist), and he discovered himself eventually. Now, don’t get me wrong, being self-taught and learning from one’s own experience is the other half of the equation. For instance, I am “qualified” to be a parent mostly by virtue of my own experience of being a child at one time, as well as the ongoing learning process of being married to my lovely wife and raising a 2-year-old daughter with her. Personal experience is paramount to who we are in large part. Your own personal experience with your dog(s) informs, in part, what you know about them by observing. But when it comes to a specific method, like NDT, you have to realize the knowledge and the teaching comes from a specific source: enters Kevin Behan. I think what Kevin is offering will pave the way for true and dedicated persons who want the training in order to become an official certified Natural Dog Trainer. Unfortunately for me, I cannot accommodate my work schedule to be a student at that academy, so I genuinely envy those who will get to be there. However, if/when the Academy is offered again by Kevin, I hope that I can arrange my schedule to make it happen. I’ll be honest, I am in no way a “black belt” in NDT nor am I a certified NDT trainer – far from it actually, and I can imagine those who have worked in person with the creator of NDT might share that feeling. And if you are like me, there is certainly nothing wrong with using what you know of NDT with your own dogs, just to appreciate the experience that is available there for you and your pup. Still, for the short time I worked with Kevin, I have realized why he is the NDT teacher we all seek to learn from. I am so excited for the opportunity people will have to learn from “Behan Sensei.” Call me a brown-noser, but if you want to learn NDT come to a NDT conference and if you want that teaching experience go to the August Academy – you won’t regret it. I’ll leave you with a gem from the founder of Aikido, Morihei Ueshiba, or as we call him by his honorable status, O’Sensei. When people would train with O’Sensei and hear his lectures on spirituality as well as technique and theory of aikido, many of his pupils would ask questions about what he meant. And he would often say to them something along the lines of, “go and find out for yourself.” True knowledge, true practice, true execution comes from going and seeing for yourself, as long as you seek with an honest heart and a determined spirit. Isn’t Lee Charles Kelley a co-founder of Natural Dog Training? He says he is a Master Trainer and lists Kevin Behan on the “Our Trainers” section of his website. Both trainings sound interesting and good to me. Considering all advice on who to train with. Thanks for chiming in! My simple answer is, NO. To elaborate, Kevin is the one and only originator of Natural Dog Training. Historically speaking, based on Kevin’s accounts in his books and on his blog and my own extended training with him, the foundations of NDT began with his father’s training. And if I recall correctly it was the late 70s when Kevin started to formulate his own theory. According to Lee’s website he didn’t meet Kevin until the late 80s and I would be curious how long he actually trained with Kevin. ALL of the NDT theory and techniques and procedures are Kevin’s ideas, not Lee’s. I have never met Lee, so with no disrespect to him, Kevin is the only one who offers the official, certifiable NDT training. Again, I mean no harm to Lee and I’m not sure of the extent to which he has actually worked with Kevin. Kevin’s NDT theory has evolved a lot, even since I apprenticed with him in 2012, so he is the one to learn from. I would venture to guess that Lee’s advertised Master course is not equatable to Kevin’s Academy. I’m a bit confused as to why his website says “our trainers” since all of NDT is Kevin Behan’s intellectual property. This is why I don’t advertise myself as a “Natural Dog Trainer” because I have not yet been certified as one and I don’t think anyone else has either. If one were to actually complete the academy with Kevin then maybe one could list their name under Kevin’s as a Natural Dog Trainer. So bottom line, go nowhere else than Kevin Behan to learn Natural Dog Training. Scott, your comment is good and I pass it on to friends. Dog Training costs a lot and becoming a trainer is more with no promise of making money from it. Kevin Behan does not give information after his Announcement and these other folks, Lee Charles Kelley but others too, act very in the know on Natural Dog Training. My friends and me felt confused. We have no inside track. In my opinion in dog training people tend to overstate their background and then you get stuck without the money. I too look forward to the release of details for the NDT Academy. As it says in the original announcement, they hopefully will come out soon. If I were you I would email Kevin and see what details he might have for you at this point. I have known Scott for several years and Dr. Jean Marie Thompson even longer. Both of them are much more proficient in NDT than I am and they have both spent time in Vermont with Kevin Behan, learning directly from him on a one-to-one basis. Personally I have been thru several multi-day trainings with Kevin Behan here in Indiana. And I feel like I have just barely touched the depth of understanding that Kevin has to offer. Last summer Kevin spent an hour or so with my dog Leisel, who tends to be very shy. He did not train her, he simply handled her while we visited patients at the Old Soldiers Home in Lafayette, IN. But what Kevin accomplished with my dog in boosting her self confidence was truly amazing. He spoke very few words to Leisel but what he communicated down that leash made a world of difference. He has also helped with my other dog Rain, who is very self confident an has the core exercises of NDT down pat. She has the bite & carry down pat. Which most people find astounding because she is a great big little teddy bear who is outstanding in her role with the Indiana K-9 Assisted Crisis Response Team. What bothers me are people who claim to really understand Kevin Behan’s Natural Dog Training, or claim to be co-founders when they are not. I truly wish that these individuals would at least describe the training that they have done with Kevin Behan. And show the certificates that they have earned by working with Kevin Behan. Well maybe they have read the books and so have I. I have several certificates stating that I have been through Natural Dog Training. As I have studied and worked with for several years I have found my self feeling more and more inadequate in terms of what I actually know. I have helped a few other dogs and their handlers in terms of bonding with their dogs using basic core exercises, but that certainly does not make me a trainer. I am barely an apprentice. There is so much more to learn and I can only learn that from the Master (as Scott would say: the Sensei). Be very, very careful of those who claim to be NDT trainers if their name is not Kevin Behan. I strongly agree with what Scott wrote and he did it very eloquently. I am scared by those people who claim to be trainers in NDT. Kevin Behan is the Master and as far as I know there are absolutely no others. I can be found on Facebook at: Cassy Woolson. That was the name of a very wonderful GSD that died about a year and a half ago just two months short of being sixteen years of age.